The state Commissioner for the Environment, Mr Babatunde Durosinmi-Etti, gave the warning in a statement on Saturday, after he paid an unscheduled visit to Soulus Dumpsite. Durosinmi-Etti said that such vehicles would be made to go through re-certification process before they could use any dumpsite in the state. He decried a situation in which compactors broke down incessantly at dumpsites, causing unnecessary delay and loss of man-hour. The commissioner said that such inefficiency was capable of bringing hardship to Lagos residents and jeopardise government efforts to achieve a cleaner and sustainable environment. He urged all waste collection operators to put their compactors in order. 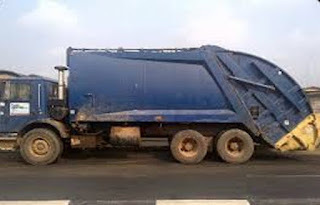 “Owners of dysfunctional compactors will no longer be allowed to dump refuse at dumpsites across Lagos State until they put their vehicles in order. “They will have to obtain government recertification, to avoid delay at dumpsites,” Durosinmi-Etti said. He said that the same measures would be applied to owners of waste compactors left aimlessly on the roads. The commissioner said that compactors left indiscriminately on the roads, road medians or street corners would be treated as abandoned vehicles. He said that such vehicles would be handed over to the Lagos State Abandoned Vehicles Committee, if the owners would not repair and remove them from the roads fast. According to him, all waste collection operators should ascertain the condition of their compactors and effect repairs where necessary. “They should ensure removal of unserviceable ones from the points of their abandonment within two weeks to avoid stringent measures from the government. “It is in the good interest of the state that more waste compactors are functional to ease movement in and out of dumpsites. “This will improve the turn-around time of compactors to boost the achievement of a cleaner, healthier and sustainable environment,” he said.